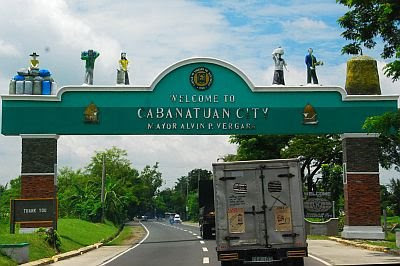 The first time Tutubi set foot in Cabanatuan was sometime in 1995 to visit Wesleyan University. 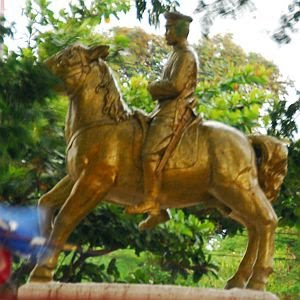 This time, he passed by the city notorious for the presence of so many tricycles criss-crossing the busy streets of the city made notorious by the murder of a revolutionary general and the almost forgotten daring rescue of American POWs by Americans aided by Filipino guerilas during World War II. 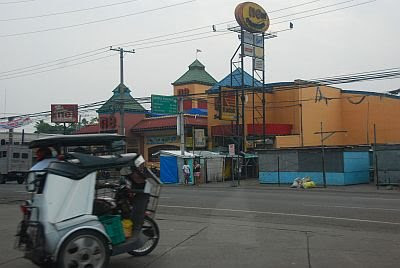 It took barely two hours drive to go to Cabanatuan from Quezon City because Tutubi left at early at 5am and got there before 7am when Jollibee and the city's notorious "million" tricycles were still asleep. There are three major roads in Cabanatuan: the Maharlika Highway, Cabanatuan-Tarlac, and the Cabanatuan-Aurora road. The Maharlika Highway is the main thoroughfare going to Nueva Vizcaya. The so called Crossing is the corner of Maharlika and the road going to Aurora (Baler, Casiguran, Dingalan) and pass by the historic Pangatian Shrine and Palayan City,the capital of Nueva Ecija province. 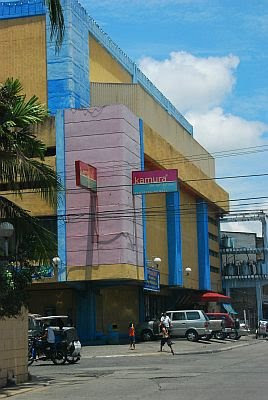 Cabanatuan-Tarlac is Nueva Ecija's link to neighboring Tarlac province. 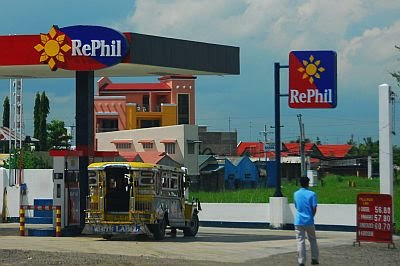 Should you find yourself in Cabanatuan, Tutubi recommends gassing up at this gas station. Too bad, he had already gassed up at Shell Crossing when he saw this nationalistic station sporting the colors of the national flag and whose name sounded like refill. Creative and nationalistic indeed! Driving Directions: On NLEX, take Sta. Rita Exit then just follow the route that willlead to Pulilan, Plaridel, Baliuag, San Ildefonso, and San Miguel and Gapan. Those with motorcycles or want to avoid toll fees on NLEX can opt to go via MacArthur Highway passing through Caloocan, Valenzuela, Meycauayan, Marilao, Bocaue, Balagtas, Guiguinto (Tabang), Plaridel, Pulilan, Baliuag, San Rafael, San Ildefonso, San Miguel , Gapan, San Leonardo, Sta. Rosa, then Cabanatuan City. Commute: Bus to Gapan, Nueva Ecija is serviced by bus companies on EDSA, Cubao Quezon City e.g. Baliwag Transit, Five Star Transit et al with signboards Cabanatuan, Santiago or Tuguegarao. I went to school in CIC Cabanatuan it is a nice town with lots of tricycle, indeed the prices are reasonable especially for a traveler. it's really funny how you describe the trikes by the "millions". di naman ganun kadami. actually based on the local governemtn here, there aonly about 12,000 trikes registered but the problem lies with the colorums from other municipalites who flock to the city to work. people in nueva ecija definitely need alternative jobs. I've never been there before but it seems like an interesting place! lawstude, too many trikes and undisciplined drivers. That welcome arch looks really perculiar to me. not 'millions', only thousands,^_^, but quiet true about 'walang disiplina'. but still witty yet nice blog of NE. 'cause this is the place where he came from..
yOu r so cute describing millions of tricycles... and voters... Cabanatuan doesn't want to think of mass transport. I wonder who supply the million of tricycle and how much the city official gets paid to issue licenses.. Hmmm!!! what do you think??? i was also able to visit the science city of muñoz once and was surprised to see "humongous" ingredients for "halo-halo"... i say they really look interesting and "funny" at the same time as it's not everyday you would see a leche flan or an ube halaya in a basin (palanggana) that's how weird it is... but i wasn't able to try it though, too bad coz me and my friends were driving home and were just able to pass by the public market where i got a glimpse of them... but a definite must-try there is the carabao's milk and their pastillas made from of course, carabao's milk :) it literally would melt in your mouth. for any backpacker going to nueva ecija, you must not expect to see any awe-inspiring, jaw-dropping sceneries... it's not like that there.. instead be ready to experience the sun's heat while enjoying all the food which i know are not that really uncommon however, a thousand times better (if you eat at the right places). and sometimes it's even free, just visit any house during the fiesta months March-April-May--kahit dka kakilala papakainin ka at busog to the max talaga! that's how hospitable they are :) i even remember going to sidestrip (cabanatuan's version of metrowalk) which is open as early as 5pm till early morning where all the yuppies and nursing students go... hahaha with just 150 pesos, u have 6 bottles of beer and 1 free sidedish na! it's located just beside n.e. pacific mall... that's how it got it's name probably.